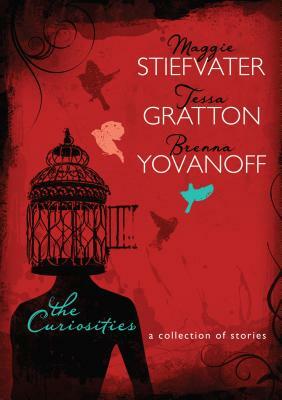 From acclaimed and New York Times best-selling YA authors Maggie Stiefvater, Tessa Gratton, and Brenna Yovanoff comes The Curiosities: A Collection of Stories. A vampire locked in a cage in the basement, for good luck. Bad guys, clever girls, and the various reasons why the guys have to stop breathing. A world where fires never go out (with references to vanilla ice cream). But The Curiosities is more than the stories. Since 2008, Maggie, Tessa, and Brenna have posted more than 250 works of short fiction to their website www.merryfates.com. Their goal was simple: create a space for experimentation and improvisation in their writingall in public and without a backspace key. In that spirit, The Curiosities includes the stories and each author's comments, critiques, and kudos in the margins. Think of it as a guided tour of the creative processes of three acclaimed authors.